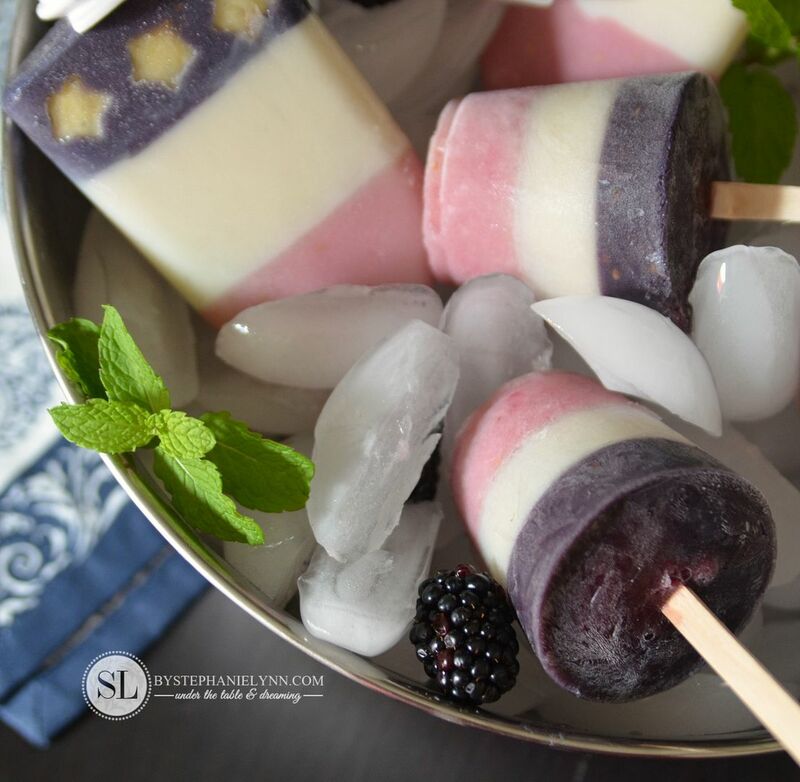 Homemade Patriotic Popsicles – dairy free, gluten free, vegan almond milk recipes | This recipe is a part of a Silk Almondmilk #SilkAlmondBlends #shop hosted by the social shopper media company #CollectiveBias. The story and opinions read here are entirely my own. 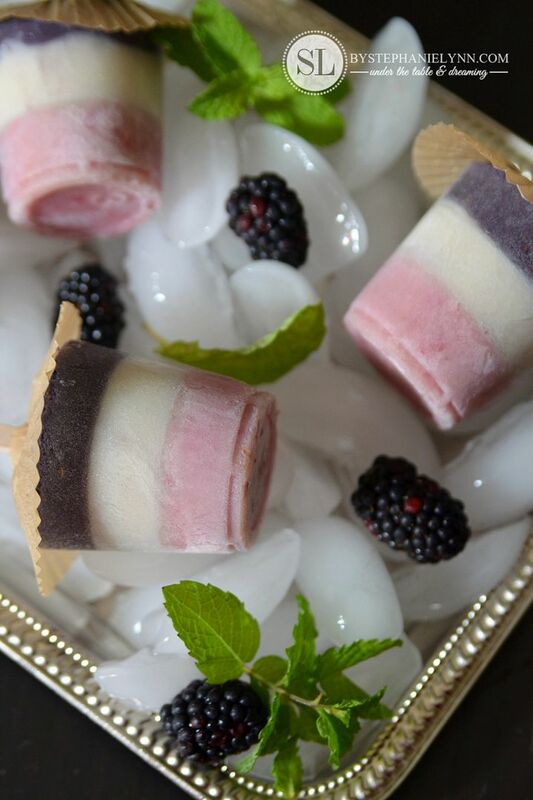 As the temperatures go up, nothing tastes better on a hot summer day than a fresh from the freezer homemade popsicle. We started obsessing over making these little treats ourself when CJ was was taken off of solid foods a couple of years ago. They are one of the easiest treats to make and we just love the fact that the only thing that has to go into them are the fresh ingredients you choose. In honor of the upcoming holiday, I thought it would be fun to put a little red, white, and blue spin on these tasty treats. My little kitchen helper loves to do all of the mixing so the multiple layers provided a little extra ‘chef time’. 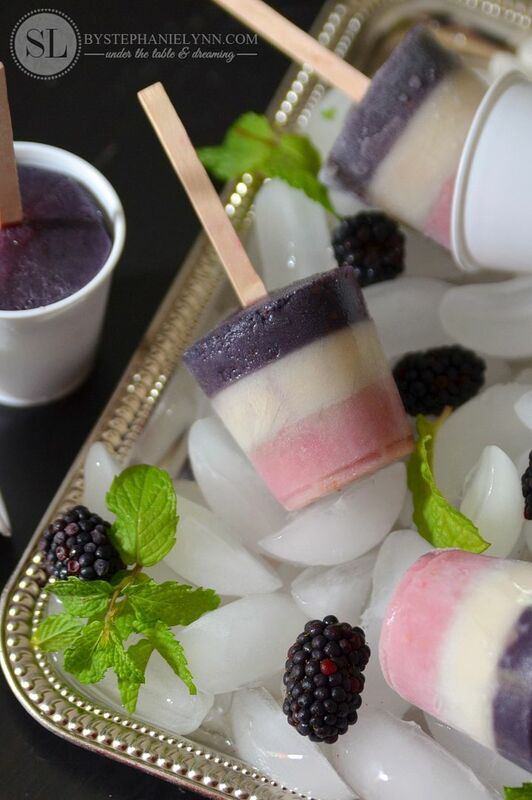 Most homemade popsicles require just three simple ingredients: fruit, a sweetener, and a liquid of some sort. For our homemade patriotic pops we picked up fresh raspberries, blackberries, & bananas along with some Silk Almond Milk during our last trip to Safeway. To keep our pops truly vegan we used a touch of pure maple syrup for our sweetener. 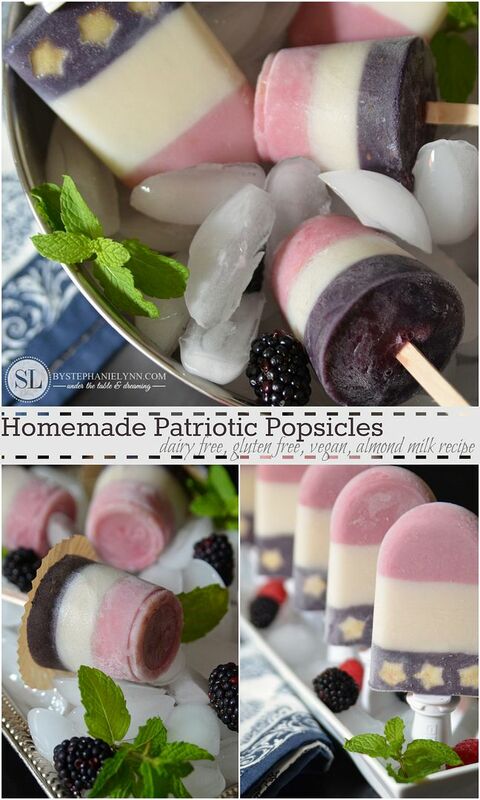 Like any homemade ice pop, the patriotic pops are incredibly simple to put together. The fancy layers just take a few extra minutes to set. The fruit, maple syrup, and almond milk are just blended together. For small batches we use our mini chopper, though a blender or food processor can also be used. To taste the full flavor of the fruit, the consistency should be thick like the texture of a smoothie, but thin enough to pour. 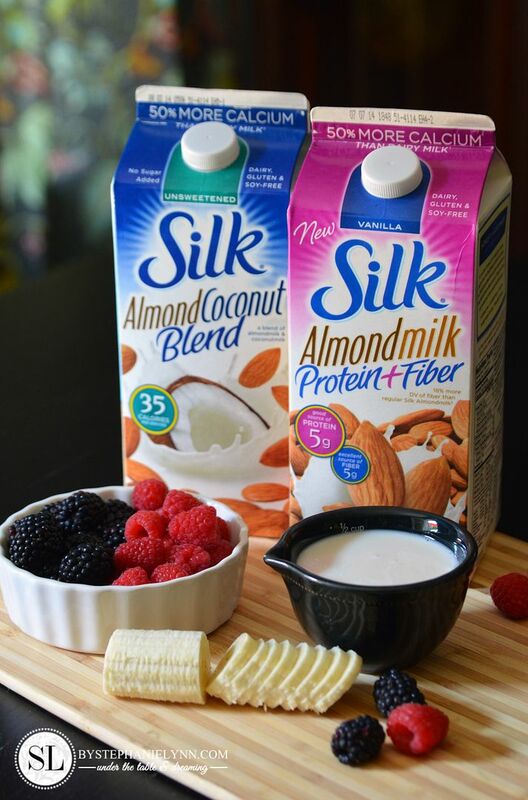 For the ‘red layer’ we used fresh raspberries, the ‘white layer’ plain almond milk, and the ‘blue layer’ fresh blackberries. 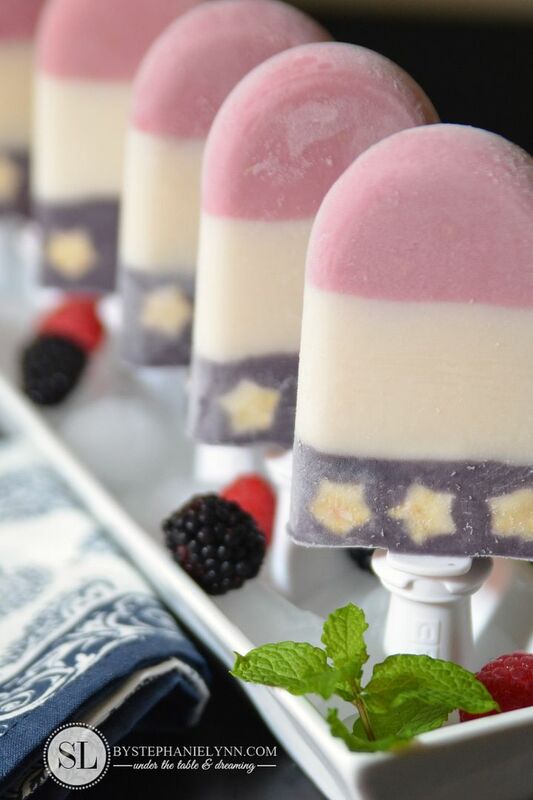 For a touch of fun we added a few patriotic stars to a couple of the ice pops. 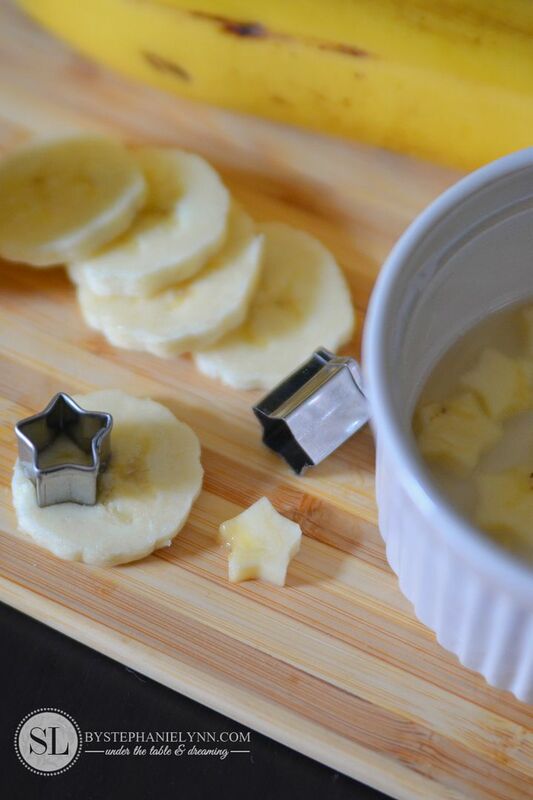 They were cut from the banana slices with a mini star cookie cutter and added to the popsicles during the last layer. When it comes to popsicle molds there are many different options available. We used two different methods to mold our homemade patriotic pops – our favorite quick pop maker and the good old paper/plastic cup method. Anyone can replicate these molds at home using just a few simple supplies: paper or plastic cups, wooden sticks, & tape. They are perfect for making large batches all at once. The sticks are added after the pops have been frozen for about 30 minutes. The tape is used to center the stick and may not even be necessary if the popsicle mixture is thick enough to hold up the stick on it’s own. If using plastic cups, once frozen, lightly roll the cup between your hands a few times and the popsicle will pop right out. If using paper cups, simply rip open the cup and peel away. Place 1 cup of raspberries, ¾ cups of almond milk and ½ teaspoon of pure maple syrup into a food processor and blend until smooth. Set aside. 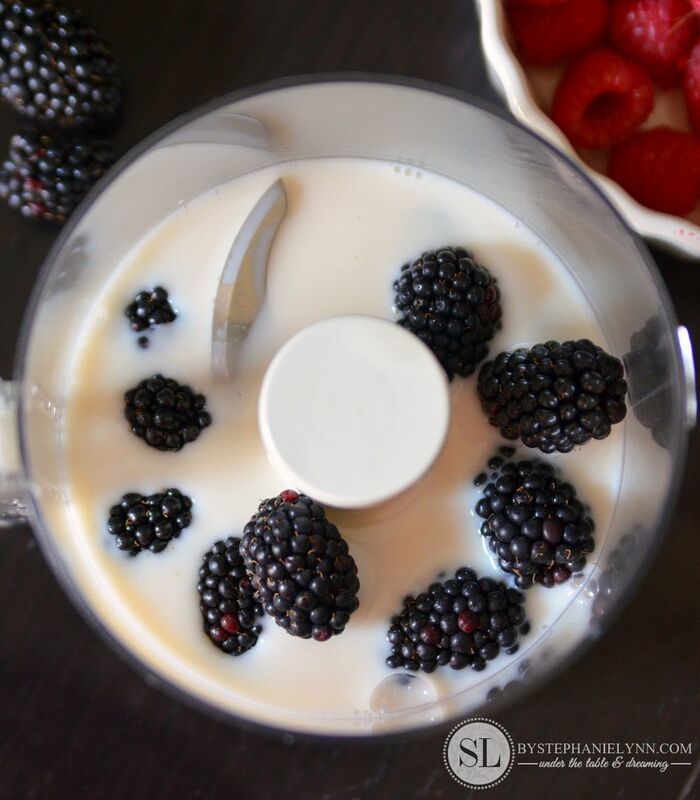 Place 1 cup of blackberries, ¾ cups of almond milk and ½ teaspoon of pure maple syrup into a food processor and blend until smooth. Set aside. 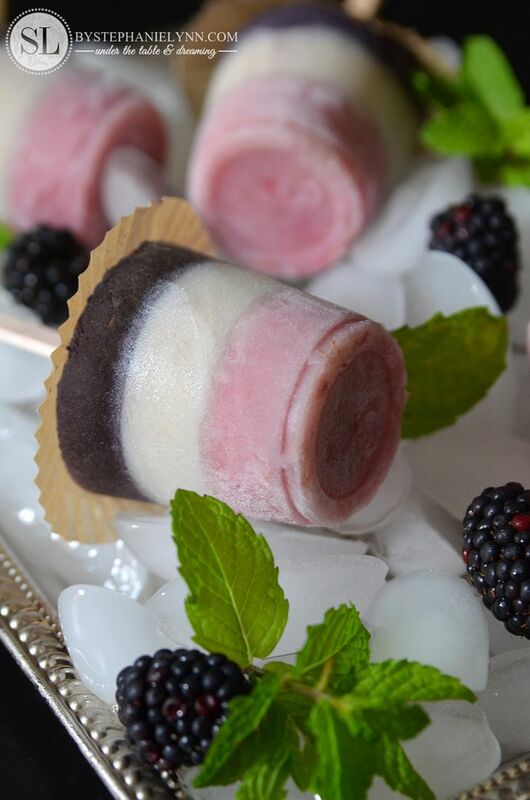 Fill the desired popsicle molds ⅓ of the way full with the raspberry mixture and place in the freezer. 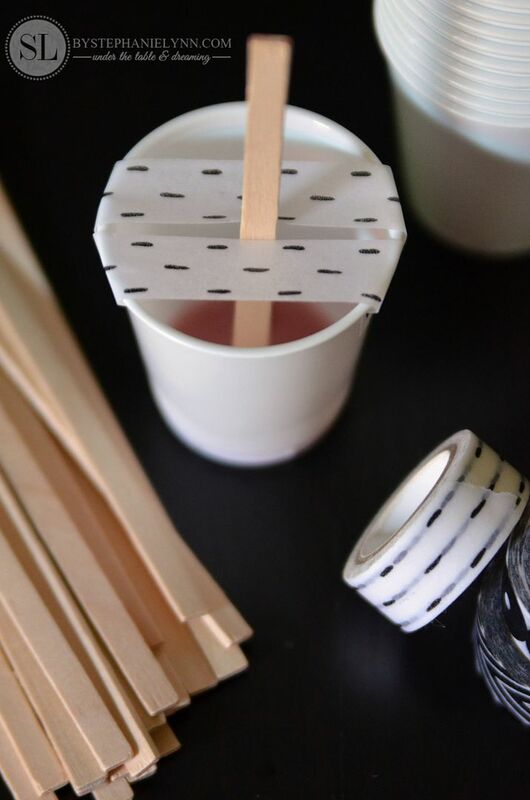 If using the paper/plastic cup mold method, remove the cups from the freezer after 30 minutes and insert the popsicle sticks partially through the first layer. Use tape if necessary to support the sticks. Return to the freezer and allow the first layer to set completely. Continue to add the additional layers, ensuring each layer has time to completely set. Use plain almond milk for the 'white' layer then finish with the blackberry mixture. The last layer can be garnished with stars cut from bananas or apples if desired. Nothing better than icy cold popsicles on a warm summer day – made from some of the fresh ingredients we love the most. 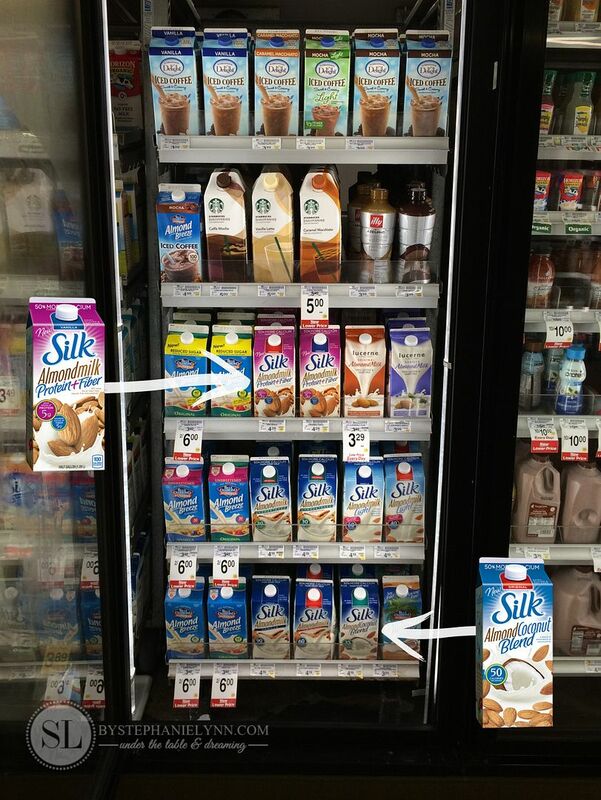 No excess sugars, no artificial colors or dyes. and have their kids try them to at our house. Healthy choices for all. My daughter has food allergies and we are always on the look out for cool treats.